It appears another nail has been hammered into creationism's coffin. Scientists have discovered the "missing link" -- well, one of about a million missing links, anyway. 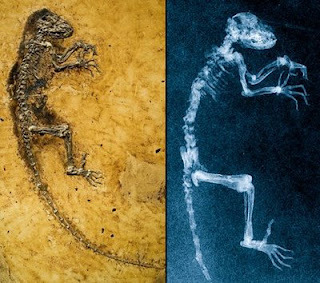 According to paleontologist Jorn Hurum, this (supposedly) 47-million-year-old lemur-like fossil "is the first link to all humans, the closest thing we can get to a direct ancestor." ...is the closest they've come to proving that apes and humans have a common ancestry. But we Christians are the ones accused of having a blind faith -- a faith that is rooted in nothing more than warm, fuzzy feelings and wishful thinking. And when we try to defend our belief in a Creator, we're laughed at for ignoring the clear evidence that everything spontaneously emerged from nothing, and that all life evolved from inorganic matter. Oh, if only our faith was as unshakable as the evolutionist's. You've completely humiliated yourself in virtue of so proudly displaying here your ignorance about evolutionary biology and paleontology. From this caracature, you clearly have no idea what you are critiquing. As a result, you have simultaneously shamed both science and Christianity. Wow! Looks just like my great grandma. By the way, its cute how your critic is so proud of his comment that he (she, it, or whatever) posts his potshots anonymously. I thought this was a good article from Answers in Genesis regarding the supposed missing link. 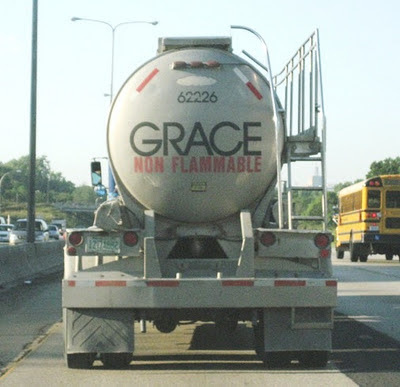 who's said that christians blind faith ? everybody have faith in their heart although to the stones. "You've completely humiliated yourself ... you have simultaneously shamed both science and Christianity. "Why are you so cowardly as to not leave your name? Ad hominem? Yes. Why not put your name where your science is? You shame yourself. How many times has a fossil discover been touted as a "missing link?" This is just grasping at straws - only there aren't any straws! So often vigorous evolutionists claim that Creationists deny science and so-called "facts." THAT is certainly a caricature that is misleading and untrue. Perhaps you misunderstood the statements that were made. Pay special attention to this one: Australopithecus afarensis. Notice the upright walking and the flattened feet, yet the big toe still looks very thumb-like, which is a transitional period of a foot with an opposable thumb to a foot without an opposable thumb. Google certainly is nice for fact-checkin'.